A few weeks ago I wrote the first part of the new web part included in the new team sites. In this post I’m looking at the other web parts that aren’t added by default, but are available to be added to the page. when you add a new web part on the page you get a dialog showing all the available web parts. The Text web part gives similar functionality as the content editor web part. The image web part will let you add an image to a page. A caption can be added to the image. The alternative text is available within the web part properties. 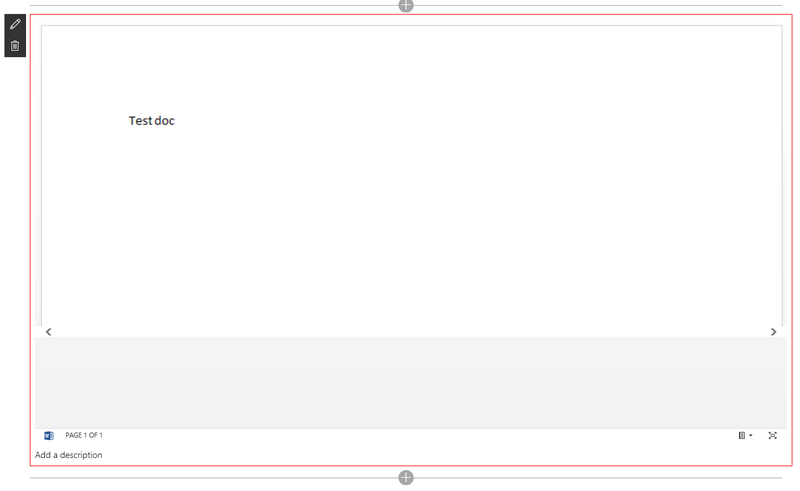 The document web part displays a document. The default page to load can be configured within the web part properties. 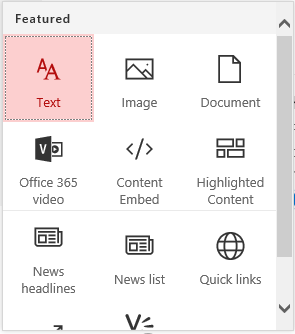 The document will only open in read only mode and there is no option to edit the document. The video web part lets you upload a video to a new team site. The Highlighted Content web part is the first web part that is slightly interesting. This web part shows documents within a configurable scope (This site, this site collection or all sites). 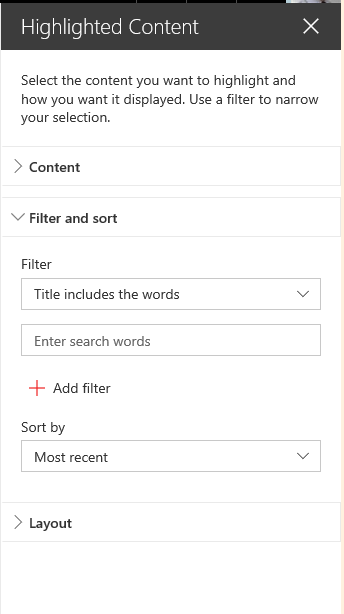 Once you get some documents or list items back there are additional filter options available. Aaahhh, this is far from as good as the existing list vie w or Search web parts. I’m quite glad that these new team sites aren’t fully supported in production yet. Then finally there are options to change the layout. 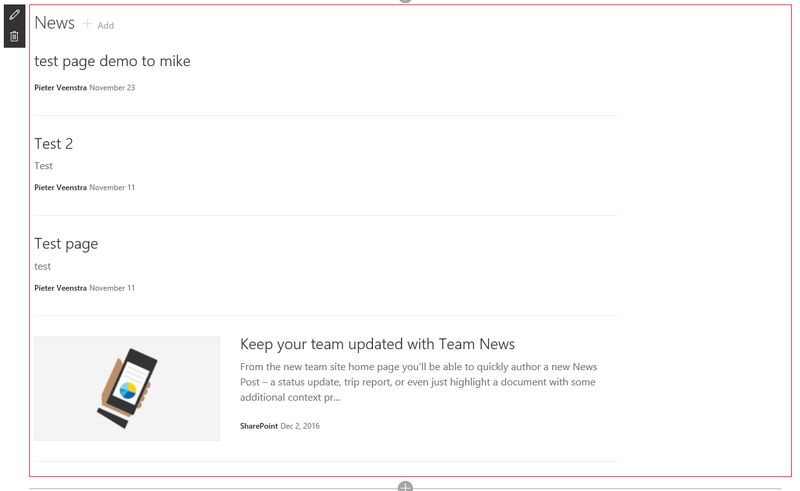 It’s possible to create Cards, a list or a carousel. So it is quite quick now to create a carousel of documents. 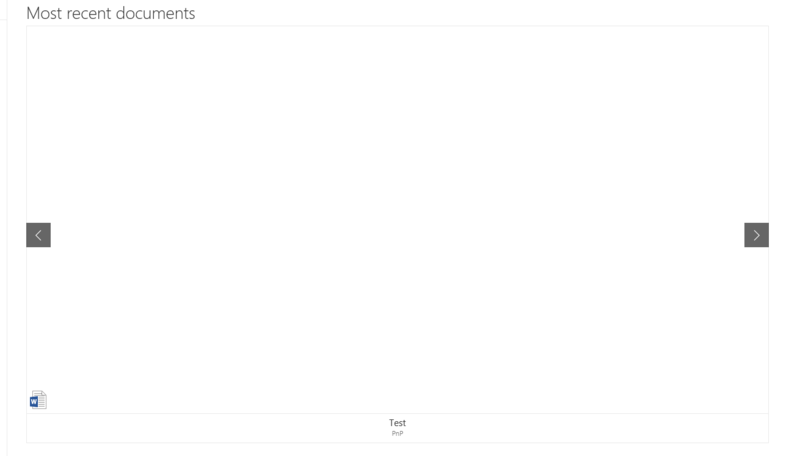 The activity web part gives an overview of the recently uploaded and modified documents. Then finally the yammer web part. 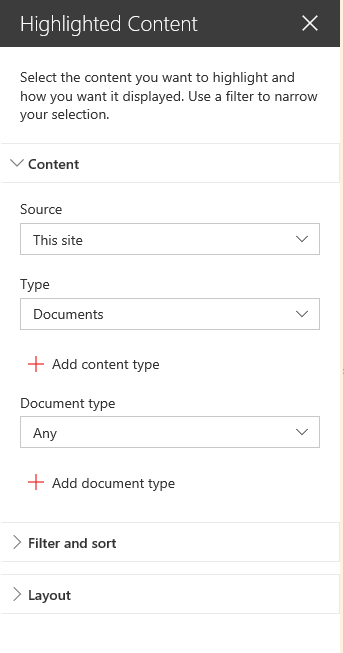 Just visit the group in Yammer that you want to show and copy the url and a yammer web part will appear. The new team sites aren’t released yet. The current release of the available web parts is still very limited and shouldn’t be considered as ready for production. I’m sure there are still a lot of updates on their way.